Latte Junkie: Brisbane Part 3 - Science Centre and the Museum. 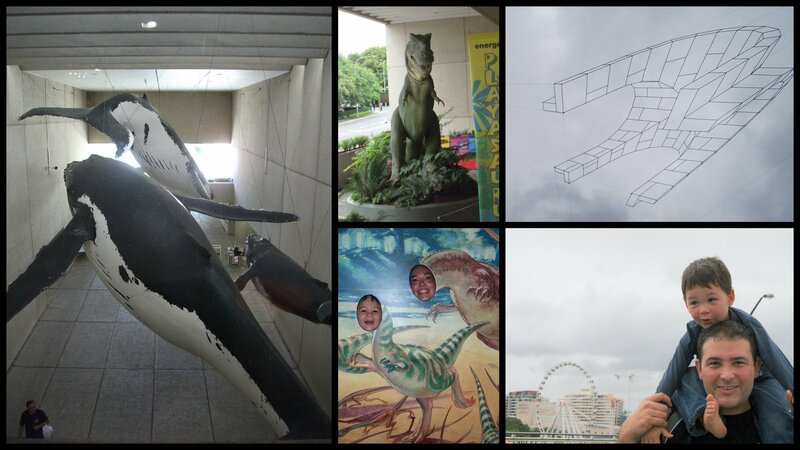 Brisbane Part 3 - Science Centre and the Museum. Whale Mall, T-Rex, Being silly, a hanging 2D sculpture, Monkey with his sore toe on the bridge with the Brisbane "eye" in the background. 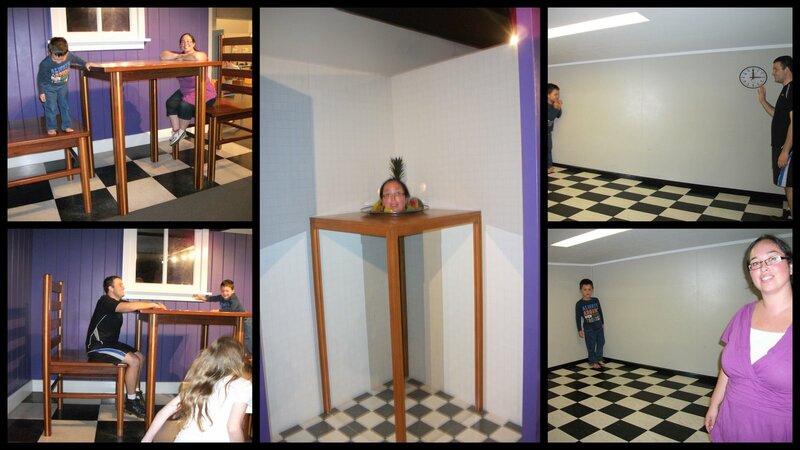 We went to both the Science Centre and the Museum, sadly the Dinosaur Playland was washed away by the floods. This meant that Monkey was just a little too young to enjoy the exhibitions. There were one or two that he engaged with but the rest were too advanced for him to understand. But we enjoyed it and he loves pushing buttons, even if he doesn't understand the experiment or result. A table and chair giving the perspective of a 3 year old, my head on a plate, Monkey is tall!